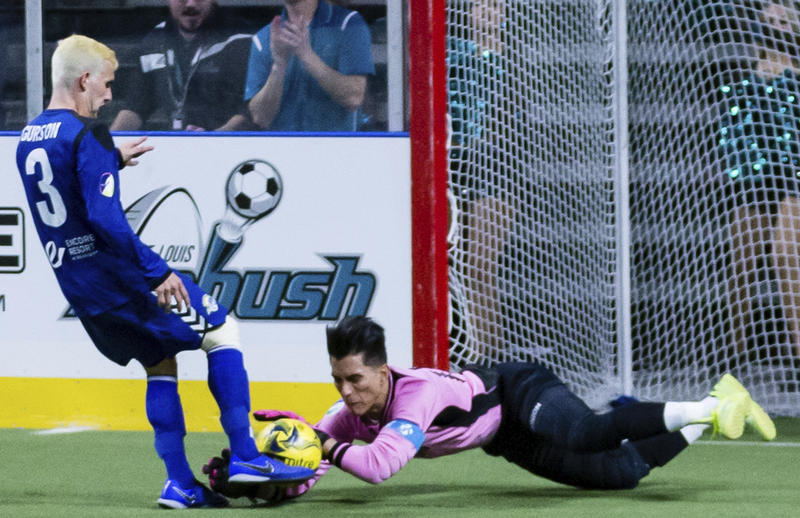 St. Charles, MO (February 22, 2019) – The St. Louis Ambush fell 7-6 in overtime to the Orlando SeaWolves Friday night at the Family Arena. The loss dropped the Ambush to 8-9 on the season, while Orlando improved to 6-5. The Ambush got on the board first when Corey Adamson headed a ball that hit the glass above the goal and ricocheted to Robert Acosta, who headed it into the net at 2:14 of the first quarter. The equalizer came for Orlando on Thiago Freitas’ unassisted tally at 10:45. The Ambush took back the lead when Lucas Almeida sent a wall pass to Magui, who was stationed in front of the goal and tapped it in at 11:34 to give the home team a 2-1 lead at the end of the opening frame. Orlando posted the first goal of the second period when Freitas was left open by the Ambush defense and was able to beat goalkeeper Paulo at 5:15 to knot the score at two. Freitas would complete the hat trick at 7:06 to give the SeaWolves their first lead of the night. With no further scoring from either side, the first half expired with the visitors enjoying a 3-2 lead. 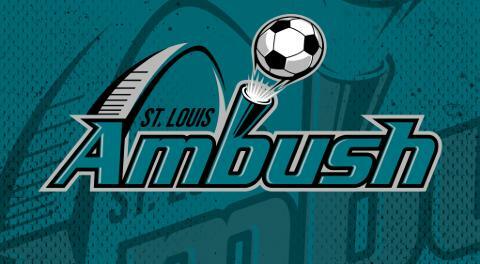 The Ambush drew even (3-3) when a Justin Stinson shot hit the crossbar, then the net, at 11:29 of the third quarter. Orlando’s Richard Schmermund earned a visit to the penalty box for holding Zach Reget at 12:35, giving the Ambush a power play. Reget made good on the opportunity, finding the back of the net at 12:57 to give the Ambush a 4-3 lead. Orlando got a power play of their own when Ambush goalkeeper Paulo was issued a blue card for contact above the shoulder at 13:34. The final stanza kicked off with the power play still in effect, but it was the Ambush who scored a short-handed tally, shot by Pepe from just beyond the top of the arc 15 seconds into the period to make the score 5-3. Orlando answered promptly, stunning the Ambush with two goals less than a minute apart. Osvaldo Rojas scored at 1:28, followed by Elmo Neto at 1:51 to tie the match for the fourth time. The Ambush took the lead again when JT Thomas got off a difficult shot while on his back at 5:37 to make the score 6-5. Orlando would draw even again when two Ambush players were taken down, enabling Mario Alvarez to score with relative ease at 11:35. A flurry of shots from both teams followed, but none found their mark, sending the contest into sudden-death overtime. Orlando prevailed when Gordy Gurson kicked the ball out of Paulo’s hands (right) and into the net at 1:35 of overtime to nail the 7-6 winner for the visitors. The Ambush are back in action at the Family Arena on Sunday when they host the Florida Tropics in a 3:05 p.m. CT matinee affair. Next weekend, the Ambush play back-to-back home games, hosting the Harrisburg Heat Saturday, March 2 at 7:05 p.m. CT, then the Milwaukee Wave Sunday March 3 at 3:05 p.m. CT. On March 2, the Ambush will wear special St. Patrick’s Day green jerseys that will be auctioned off to benefit Junior Achievement, sponsored by CPAs for Hire. On March 3, the popular Annual Mascot Game will be held at halftime, featuring mascots from various St. Louis area sports teams, businesses and organizations. For fans unable to catch any game in person, all MASL games are webcast live at masl.tv. Group and single game tickets are on sale for all Ambush home games. For more information, call the Ambush office at 636-477-6363. Keep up to date on all Ambush news by following the official website, stlambush.com and on Facebook and Twitter.